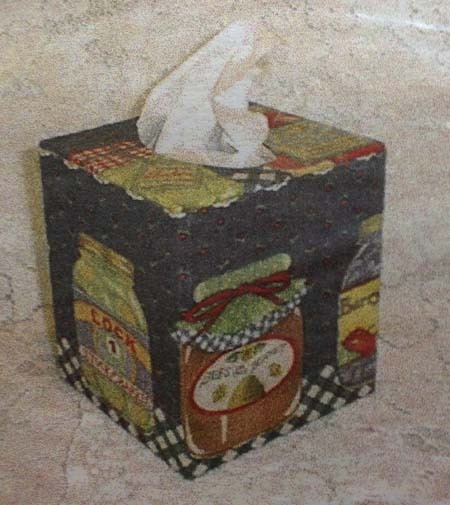 Love this tissue box. 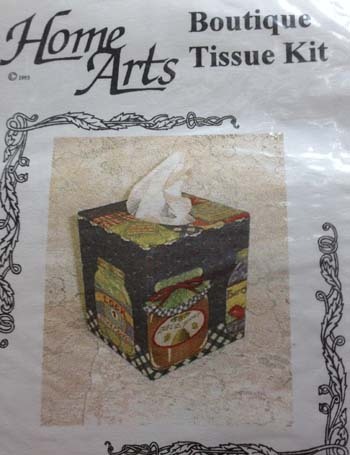 It is open at the bottom and will fit standard tissue boxes. 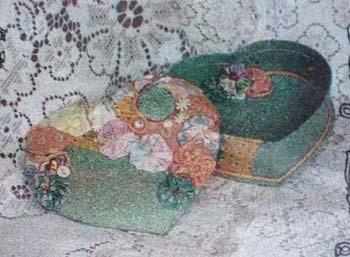 You can make this to suit any decor. It only uses 1/3 of a yard of cotton!! Fun, easy project. Precision cut panels fit perfectly together. I added crystals on the one I made for a little sparkle.